Share the post "Samsung Electronics to Skip OLED TV and Go Straight to QLED TV"
Samsung Electronics is preparing a medium to long-term roadmap on next-generation TVs that has Samsung Electronics to skip over OLED and go directly to QLED. Its strategy is to continue to develop its Quantum-Dot TVs, which are its current major products, and prepare to commercialize QLED technologies during this time. Because OLED has weaknesses such as age, burn-in phenomenon, and high manufacturing unit cost, it has decided to pass on responding towards OLED directly. According to Samsung Electronics and an industry on the 22nd, Samsung Electronics’ VD (Video Display) Business Department has started changing its roadmap for its next-generation TVs. It will finalize its plan by sometime next month and share its plan internally. 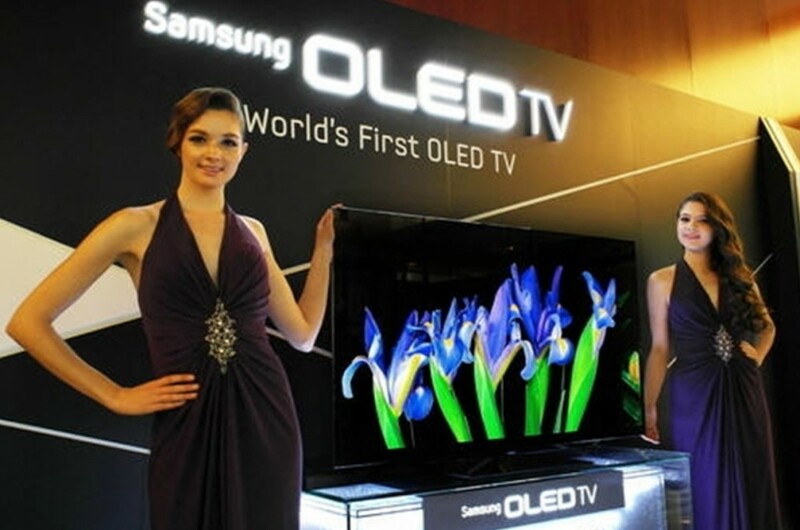 Samsung Electronics’ TV business has been selling most TVs in the world for 10 years in a row since 2006. Until now, it has been leading the markets with concepts of next-generation TVs such as LED, 3D, Smart, and Quantum-Dot. However Samsung Electronics did not present any new concept for its TVs this year and is going with SUHD TVs like last year. While LG Electronics, which is the number two TV business in the world, is pushing with OLED TVs, industries wanted to know how Samsung Electronics would respond. Samsung Electronics’ VD Business Department, which received a management diagnosis from Samsung Group last year, has chosen QLED as the keyword that will help VD Business Department to continue to lead in next-generation’s TV markets. Major point of this strategy is that VD Business Department will pass over OLED TVs after Quantum-Dot TVs, which are its current major products, and go straight to QLED TVs. Samsung Electronics has been developing OLED TVs internally and examining them since many years ago. However it has come to a conclusion that it cannot solve problems such as short age, burn-in phenomenon and others due to limitations of organic material. Fact that manufacturing unit cost is high has become another weak point of OLED TVs. “Although we had been developing and paying careful attention on OLED technologies, there are problems regarding age and production cost with large products since they use organic material.” said a high-ranking official of Samsung Electronics. “VD Business Department is making a new roadmap for next-generation TVs.” This official also added that Samsung Electronics has decided to go straight to QLED TVs after Quantum-Dot TVs since technologies are evolving fast. QLED, which was chosen by Samsung Electronics as the technology of its next-generation TV, uses Quantum-Dot with a size of 2 to 10 nanometers and is a self-illuminating element like OLED without help from BLU (Back-Light Unit). Quantum-Dot, which is ten-thousandth of thickness of a hair, produces different colors depending on sizes. Because it uses inorganic material, it has higher durability than OLED that uses organic material. It is known that its production cost is inexpensive and has superior level of clearness and light stability. Because ability of representation of color for each pixel is improved greatly, it is advantageous in implementing ‘HDR (High Dynamic Range) technologies that have emerged as focal point in competition for quality of TVs. Samsung Electronics is going to focus on SUHD TVs, which use Quantum-Dot displays, for 2 to 3 years and bring up the level of QLED technologies so that they can be commercialized. It is expected that new QLED TVs will come out in 2019 if speed of development of QLED technologies is considered. Samsung Electronics has been hinting possibility of QLED TVs since before and this indicates that it has done enough examining on QLED technologies.